Virtual desktops and virtual desktop infrastructure (VDI) have been considered out of reach for many small and medium sized business due to cost constraints and lack of technical expertise. However, there is a real need for business of all sizes to have the increased mobility and productivity and cost-savings benefits delivered by desktop virtualization. 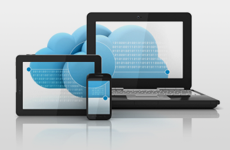 Implementing a Virtual Desktop Infrastructure (VDI) for your business can truly automate your operations. Many clients need to use multiple SaaS based Apps for their company work. Instead of having to configure multiple SaaS Apps in addition to other Software Applications.By implementing VDI, they don’t have to install, configure or sync anything other than the VDI settings, and everything is there… on any device anywhere!